First of all, I want to use this opportunity to appreciate the Nigerian government for her wise decision to grant TSTV tax free biz to operate in Nigeria for at least 3 years. It shows that you guys are feeling our pains and we can not be suffering just because few people whom are in the pockets of DSTV/GOTV wants to continue receiving their dividends while DSTV continue to monopolize Nigeria market with their draconian charges. Would it not be nice to have one solution that provides you with both at a cheap rate? This is exactly what the newly-launched TSTV is bringing. You can depending on how heavily you use data for example, subscribe to Internet and satellite TV for N3,000 per month or even less if you are a light user. Some people pay higher rates to get Internet on their smartphones alone. This for us is the real game-changing proposition that TSTV has over DSTV and StarTimes which are currently No. 1 and 2 in the Nigerian satellite/Pay-TV market. “HD SMART Set Top Box (Connected Set top box) converts your existing LED TV into a Smart TV besides showing you more than 100 Channels & services in High Definition and Standard Definition. 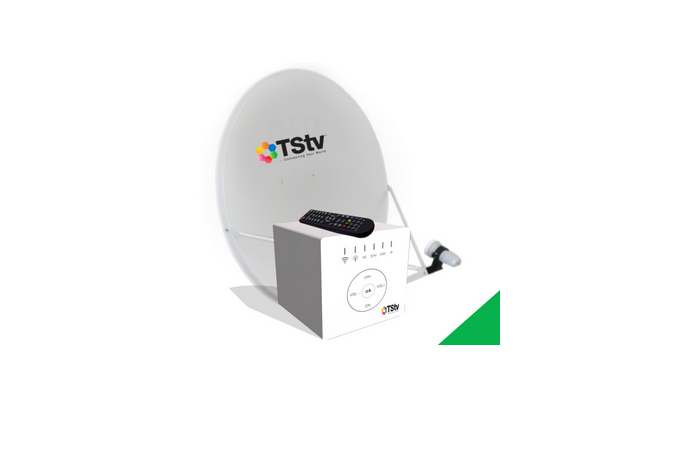 While the DTH tech in it brings television channels in Standard Definition and High Definition, the Connected set top box allows one to browse content from Twitter, Facebook, Daily Motion, video on demand sites, Over the Top, OTT apps, news, weather etc. through applications residing on STB. Our HD Smart Set Top Box will work as a tool for personalization, engagement, and new customer experiences and with internet connectivity, one can convert one‘s TV into a smart TV using it. Subscribers are entitled to a complementary 20GB internet capacity every month and this service is available for extension on demand. This kind of ‘democritization’ of Satellite TV and Internet access to Nigerians is likely to unleash our creativity and force the likes of DSTV and StarTimes to provide similar or better services. I also believe that soonest, other satellite TV's will enter Nigeria and make the charges even more cheaper.